Humane Choice producers are struggling to meet the burgeoning demand for certified free range pastured pork, eggs and chicken. The Australian Competition and Consumer Commission recently announced that new to their priorities in 2013 is an interest in credence claims, particularly those in the food industry. This means that anyone making claims about the free range status of their pork or poultry will be put under close scrutiny. Accreditation has now become far more important to buyers who want to guarantee their customers that they are providing an authentic product. Certification not only means consumer confidence, but its a cost effective way to market your product. 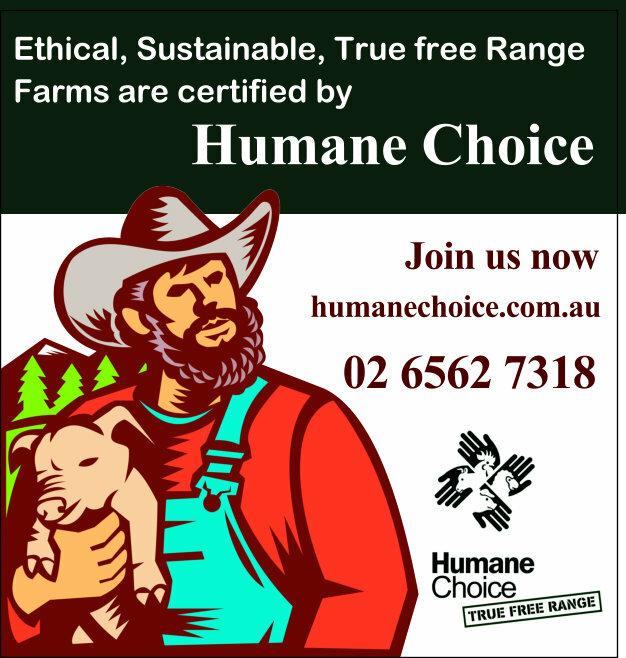 Humane Choice farmers have realized that their accreditation is simply good for business.